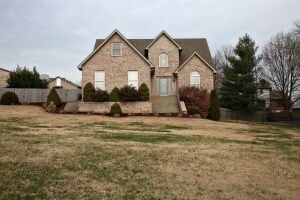 546 Zinnia Way, Shepherdsville, KY 40165 is a stunning four Bedroom 3 1/2 Bathroom property in Shepherdsville. An attractive Foyer welcomes guests. The Living Room showcases a gas fireplace with vaulted ceiling. 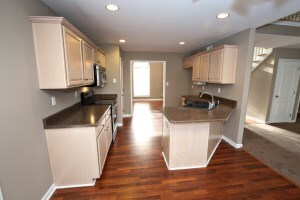 Eat in Kitchen includes recessed lighting, plentiful cabinetry, & double sink. There is a lovely Formal Dining Room accented by palladium window and vaulted ceiling. The convenient first level Master Bedroom has a tray ceiling & private Master Bath. A Laundry Room & Half Bath complete the first level. 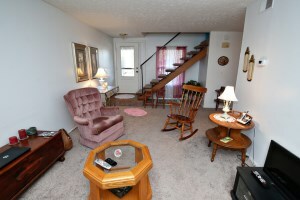 Upstairs you'll find three Bedrooms & a Full Bath. The walk out basement was completed just five years ago to include a large Family Room with tray ceiling & built in shelving. There is a wonderful theatre room as well as two more rooms that could serve as recreation space or office space. 546 Zinnia Way, Shepherdsville, KY 40165 has a wonderful back yard featuring a deck, above ground pool, and fully fenced yard. The property also has a 2 1/2 car detached & 2 car attached garage. Call 502-371-1173 for more information about this gorgeous home for sale in Shepherdsville! 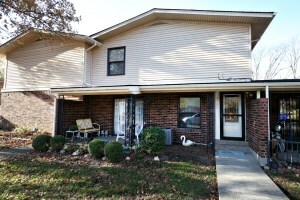 3103 Meadowside Ct, Louisville, KY 40214 is a wonderful three Bedroom 1 1/2 Bathroom condo in Cardinal Oaks. The front porch entry opens to a pleasant Family Room. 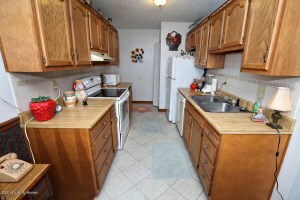 The Formal Dining Room is open to the Kitchen which displays a tile back splash & double sink. There is a first floor Half Bath as well as a Laundry Room. 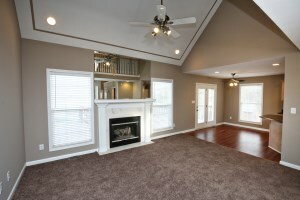 Upstairs you'll find a Master Bedroom with attached walk in closet & Master Bath. There are also two more Bedrooms on the second floor. 3103 Meadowside Ct, Louisville, KY 40214 has several upgrades including washer & dryer, ceiling fan in the Dining Room, doors, AC & Furnace, carpeting, & lighting fixtures! Appliances will remain with the property. The unit building has recently had a new roof & gutters installed. New owners will appreciate the one car attached garage and neighborhood playground, clubhouse, & pool. Great location convenient to the YMCA! Call 502-371-1173 for more information about this condo for sale in Louisville, KY!